When you’re feeding a crowd, you might want someone else to take care of the details. Oklahoma has some excellent caterers, serving up everything from savory barbecue platters to delicious Mexican food options. We’ve rounded up 10 of the best around the state! Vinita FFA caters events in the area to raise money for club activities. It’s wildly impressive that a high school group would be able to cater events for the Chamber of Commerce, non-profit organizations and more. Their leader, Carolyn Piguet does an excellent job pulling the kids together. They use local products whenever possible and grow their own herbs. They’re professional and organized, and the food has always been excellent. Ted’s Café Escondido has some of the best Mexican food in the state, and they cater events in the Oklahoma City, Lawton, and Tulsa areas. No one ever goes hungry because Ted’s brings all the fixings for a great meal, from chips, salsa and cheese dip to the main event. Oklahoma City has many great caterers, but Running Wild Catering has to be one of the top choices. They have a broad menu and can cater just about any event. For full-service or drop-off catering, you can’t beat LadyFingers Catering. You’ll be able to plan your menu with the staff and know that you’ll get real homemade food from the freshest ingredients. Aunt Pittypat’s has been around for years, catering casual to black tie events. They’re a great service that you can count on to provide the food you want for any type of party you’re having. Dink’s Barbecue is home to some of the best barbecue in the state, and they’ll bring it to your party at your request. They offer full service and a la carte catering, depending on what type of event you’re hosting. Red Rock Bakery has box lunch, sandwich trays, and dessert trays on their catering menu, but the items are house-baked and carefully prepared. If you are having a casual or office party, you’ll get some great food from this award-winning bakery. Abbey Road Catering has been serving up great food for 15 years. 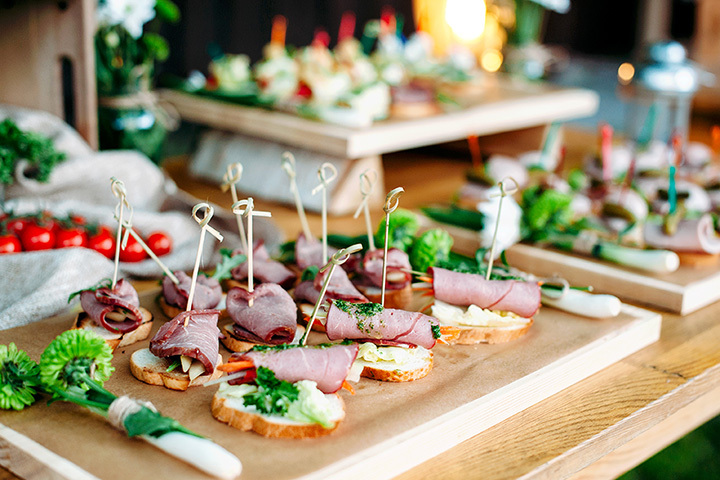 You’ll be able to personalize your menu and make sure your guests enjoy southern hospitality at your next event with the help of this catering service. One of the nice things about 624 Catering is that it has on-site events, if you need space to hold your party. But they do offer off-site catering. The chef will work with you to create a custom menu for your event. 2 Pops Catering features BBQ favorites from two award-winning chefs in the Tulsa metro. They’re professional and affordable, and cater all types of events and parties.